Soundbars are the wonderful combination of surround sound system in a small device. It is important to note that it provides you with complete music experience and also there is no need to buy big heavy hi-fi systems nor you have to get dependent on the speakers of TV which are slow and not working properly. It’s a great invention for the sound loving group of people. 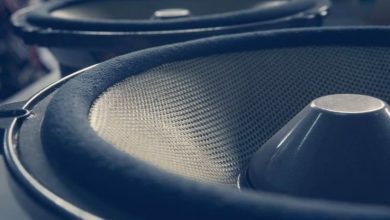 In this article, I have explained in detail about the best positions for soundbar subwoofer. Whenever you buy a sound bar its placement is an important thing which you have to deal which as you cannot put it in front of your TV as it may get blocked due to it so it is an important thing to specify its location. 4 How I Attached Soundbar with a 55-inch Tv for a Birthday Party? Here are some options which I think can be used for the placement of sound bars. You can place your sound bar on the top of the table. It is a good thing to note that you should place it near your TV set and its connectivity will be increased when it is closer to TV. Its IR linkage is quite a good thing to focus on as your TV remote to work properly. It is a quite important thing to notice that you can hang it on the wall near your TV and this thing is good as it requires very less space to place your sound bar and you can easily place it on the wall to save space. This is by far the most used soundbar placement options. You can place these sound bars under your TV if they are larger in size or occupy a lot of space under the Table then this is a smart option to place it under your TV set. This is the way with which it may get the complete connectivity with the TV. I have seen many fellows who try to hide soundbar behind the tv, I do not consider it the best option. However, you can easily go for soundbar placement behind the tv. Again not a recommended option for a soundbar placement. I have seen many of my friends doing this, however, it may affect the sound quality. Soundbars deliver awesome music and sound, you just need to place them properly. This is the most common position that buyers go for. 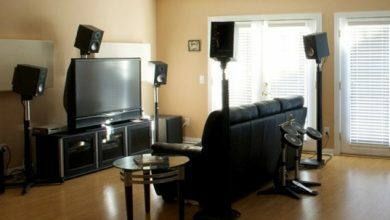 You can easily place it anywhere on the floor, it is recommended that it should be near the Tv for better sound quality. If you have small kids in the home, then it strongly recommended not to place the soundbar on the floor. Kids can potentially harm them or the soundbar. You have to be extra careful when kids are at the home. Let me explain where I placed my soundbar, for me the ideal position of nay soundbar is at the top of the Tv or under the Tv. This way you can easily use the wireless remote to control the soundbar. It looks awesome when you have mounted the soundbar at your Tv top. This is also very easy, use the screws that come along with teh soundbar and secure it properly. Always try that the soundbar is connected to the bottom panel of the TV as it has the ability to give a clean look while doing so. Always select a device that suits your TV and its size is also selected accordingly. You should be assured that your soundbar should be attached properly to the place and it should be solid at its place. So it may not fall off and get destroyed. It should not be able to cover the Infrared light of the TV and making disturbances in the usage of TV. Try to make your sound bar connected to your smartphone if your soundbar is equipped with Bluetooth and wireless. Objects that interfere the sound waves should not stand there thus it will not affect the pitch and intensity of sound. How I Attached Soundbar with a 55-inch Tv for a Birthday Party? It was my son’s birthday last week and I decided to throw a party for him and you know kids nowadays need a lot of fun at any party. In fact, the parties are right now very much Hi-tech nowadays and as for every teenager is approximately music lover. They love that their parties should be full of music and life and people focus on music most importantly while organizing any party. So, when I decided to manage this party. I decided to arrange it in a very modern way. I managed every single stuff the decoration, drinks, food, and gifts. Now it is the turn of most important thing and it is music. Well, it’s a party come sleep over so I have to manage a movie night for them too. I have a 55inches TV screen but it’s without any virtual speaker or sound system. I want this party a super hit and for this purpose, I need a surround sound system for music and home theatre effect but I do not have a much budget. I am an accountant by profession and I want this party to be economical. One of my friends suggests me that I should go for the soundbars for my TV as they are not too much heavy a budget and also they need lesser space. It is a good sound bar system as it has a powerful sound quality and the features are too good to be handled as it provides best bass effect and its connectivity is also very much high and it can be connected easily. Its price is quite reasonable and it is supported by Dolby Atmos power and the sound quality is quite clear in these devices and the production efficiency of sound is too good. It is quite a beautiful sound system which is connected to your TV and increases your working capabilities easily. Its quality is quite very good and produces sound powered by Dolby Atmos. Its design is also very much beautiful but it is an expensive device. There are many soundbar placement options and I have explained all these above in this article. It is recommended to place the soundbar properly for better sound quality. It is quite a wonderful device which has a clear cut sound quality and produces an extremely clear sound effect and the working of its speakers is quite great and it can work wonderfully well. These speakers have a very low price vale. You can connect it ti any equipment which is powered with blue tooth and thus you can enjoy the music of your choice at a sound range which is according to your taste. These sound bars are coming with the edge cutting technology. It is equipped with the Dolby Atmos feature and also comes with the wireless satellite. It is empowered with the 9 speakers at a single time and thus produces a great sound effect that this effect is easily accessible and provides you with the wonderful working conditions and you enjoy your music and games completely. It is quite easy to install it as its installation method is quite easy and user-friendly. 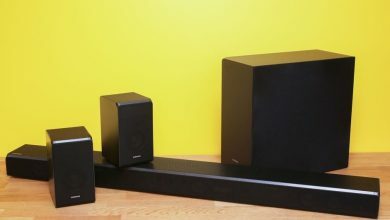 It is speakers are very much effective in its working as they are fully surround sound in its action and the effect of these sound bars is the same as we are connected to heavy-duty large speakers. It is not an expensive one to buy. Its features are quite okay and it has good compatibility and connectivity is also very good to work with. As I have gone through a bundle of products online and every product has its own features and all these features are very attractive. When I watch then I want to get all of them then I saw through my budget. So, for this reason, I decided to buy the Samsung HW- N950 sound bars for him. 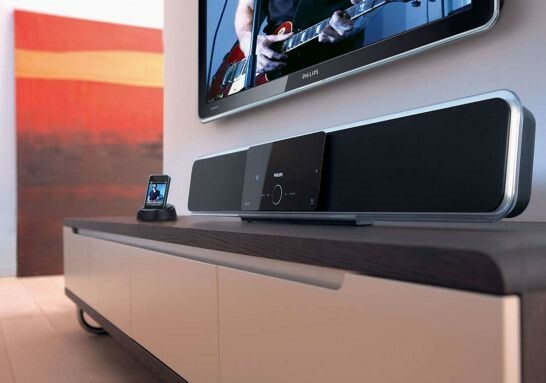 These sound bars are a good thing to invest in as they are fully equipped device and they require low maintenance. My TV is also of Samsung and thus I found it compatible with my TV too. Well, I don’t want to go towards the cheaper one as the cheaper products are not much user-friendly and you have to spend a lot on the maintenance. My son was also very happy to see as he got a speaker on his birthday which is with complete surround sound. The bass is also very high and the sound is very clear and in good quality. I place these speakers under my TV and make it solid at the place. Thus it may not fall off. It is the point from where it is connected to my TV quite easily and this thing has made it a wondrous object. It has enhanced the beauty of my TV and make me work quite nicely as I place my anything under it as it has not occupied much space. My only problem was that I do not have much space for my things to be placed right but this placement option has provided me with such ease. My son’s party was a huge success. It has enhanced the whole music level as the bass was so high. They enjoyed it a lot and worked on it quite nicely. I was much happy to see my son happy as we all want the smiles on our kid’s face. For me, this soundbar is perfect as it is reasonable to buy. Sound quality is very much high and also the resolution of sound is quite very good. It provides complete surround sound effect and this has made it a wonderful thing to focus on. Its placement has also improved its worth in my view. I have explained my point of view in detail. I hope I did justice to it. 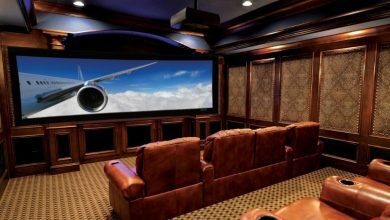 Sound bars are good option to be selected for TV if you are unwilling to get surround sound system. You should go for it if you like loud music environment with clarity. If you have any confusion, refer to soundbar placement options. I have concluded my point of view. If you have any question regarding this you can ask anything about it. Your questions will be appreciated a lot.